Every year we put together a diagram combining Statistics New Zealand and our internal data to better understand how our industry is performing. And this time around, it’s clear to see consumption of steel subject to the heavy engineering research levy has exceeded 2008 figures set just prior to the Global Financial Crisis (GFC). The new record stands at 170,697 tonnes and outdoes the pre GFC tonnage by just over 2,000 tonnes – and if we were to add non-levied heavy steel pipe for structural purposes (which nowadays has become common place) – the difference would be even more pronounced! Yes, I admit the GFC came as a surprise, so it’s not unexpected that something in the world or locally could no doubt knock us off course again… in fact, next year will be our seventh year of fabulous growth averaging close to 8% annually – so if we’re following the seven-year cycle theory it would seem its due to drop any time now. In my view, the likelihood of this happening again in New Zealand in the near future is greatly reduced with the regulatory corrections that have taken place in the banking sector – but we can’t underestimate the negative world impacts caused by economic and political events that are likely to occur. Following the current pattern such international events seem to have increased immigration pressure which for the construction sector would mean a continued and welcomed growth in the construction sector market. Additionally, most of you will recall the mad and very challenging steel cost increases which were part of the pre-GFC money grab. 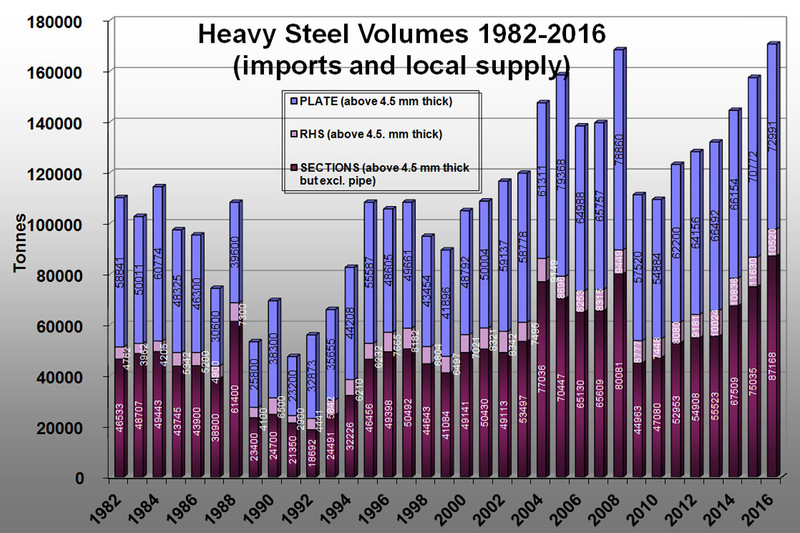 As you can see in the HERA import statistics shown in this newsletter, the cost of landed steel is back to circa 2000 level, and as the relentless battle for survival of the steel makers with the deepest pocket continues, it’s likely that steel prices will stay flat for the next few years to come, supporting competitiveness in steel based solutions. The construction industry is a main driver for this growth, and as the just released construction industry pipeline indicates – the peak in activity isn’t happening until later and should stay stable until at least 2021. SCNZ’s April snapshot reported that New Zealand’s market share of steel construction in buildings over the last two decades has grown significantly and is now over 50% nationally and 80%+ in Christchurch. Additionally, in the past year over 90+ fabricators, steel distributors and erectors with a combined workforce of around 5,000 have delivered well over 100,000 tonnes of structural steel into buildings and bridges. However the demand predictions have also put international suppliers on the scent of fabricated steelwork opportunities, and there is hardly a big project now where the tender process doesn’t consider overseas fabricated steel options as well. This is all despite the very high risk for those engaging in the import pathway, especially from the New Zealand seismic performance requirements perspective – recently seeing the Acute Services Hospital in Christchurch and the Skycity International Convention Centre in Auckland opting for a mix of both local and overseas supply, challenging the traditional ‘local only’ supply model. And, as the April quarterly SCNZ survey of local steel construction forward capacity shows, imported steelwork tonnage has already had an effect on the local spare capacity – estimated to be 40,000 tonnes for the final two quarters of 2016 and representing 45% of a total estimated capacity of 110,000 tonnes per year. Based on this, I feel any argument that the local industry alone can’t deliver large projects in the current demand cycle is not justified. 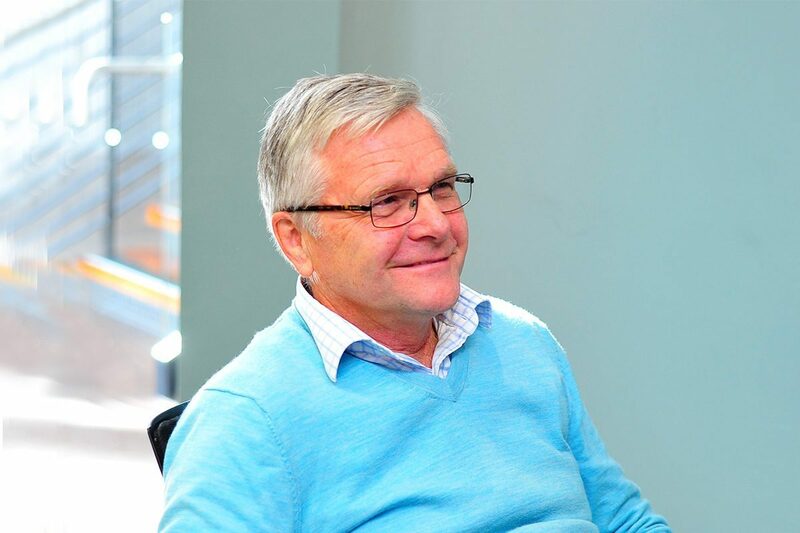 Looking forward our industry needs to start thinking about our long term sustainability and how we’ll adjust to the emergence of new business models – this may mean looking at export opportunities for our very competitive steel construction supply chain with its extensive expertise. Especially in seismic construction. With this in mind, the HERA Executive has approved the scoping of a comprehensive steel construction business model study aimed at providing essential background information on available options to address disruptions. I’m sure there are very divergent views out there on this matter and I welcome your feedback – and if you’d like, we’d be happy to publish any of your responses or views so that collaboratively we can make positive steps forward.